26 June 2013. My bus from Dubrovnik passed through the border. I was out of Croatia and went inside Bosnia-Herzegovina. The bus went out of Croatia’s coast strip and snaked up north toward Mostar. I felt a bit disappointed because the border control officers did not stamp my passport. (WHYYYYYYYYY, cried a passport-stamp freak inside me..) But I found my consolation when I saw so many mosques along the way. I don’t go to mosques often, I even identify myself as one who most of the time feels reluctant to pay homage to mosques. 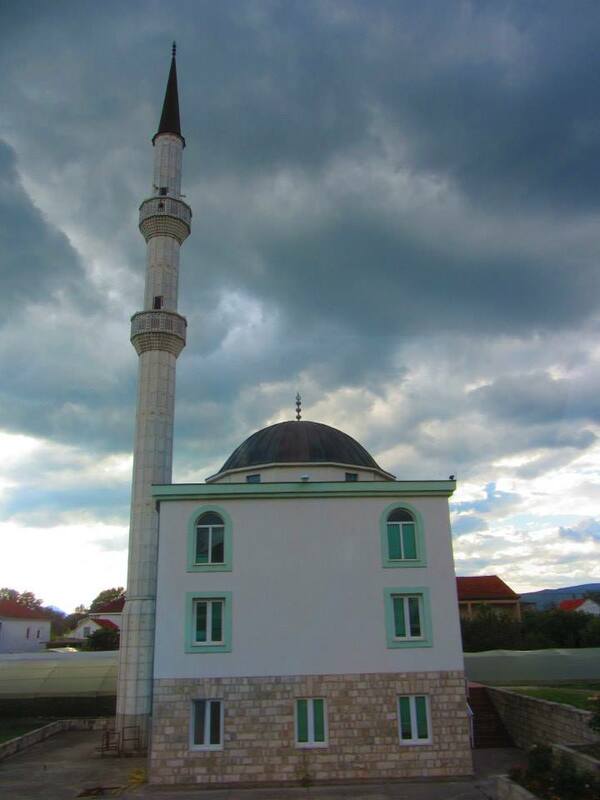 But after months in foreign countries without seeing a single mosque and without hearing a single adzan (call for prayer), my heart skipped a beat when I saw this first mosque in Bosnia-Herzegovina. Don’t ask me what and where exactly that mosque is, as I snapped the picture from inside the bus. I just had to. Anyway, about four hours after leaving Dubrovnik, I arrived at Mostar without any phone credits to call my airbnb host (wonder how 3000 forints of credits vanished in 4 days — how expensive it was to roam in Croatia!). I saw no phone shop nor internet joint in the bus station. “Do you need a room?” asked a 9-years old girl, among a bunch of old ladies in the bus station who offered their rooms. “Sorry, I don’t, but I need a phone, do you know where to get it?” I asked her. “Yes, come with me!” she said, smiling, leading me toward her grandma who was sitting in a nearby cafe. The grandma helped to call my host. I felt so sorry because I had already booked a room. Perhaps I shouldn’t do it and just try to get rooms from her or other elderly people around here. Anyway, all I could do was offering them something to drink from the cafe. So after one cappuccino (mine), one espresso (the grandma’s), and one coke (the girl’s), I know that the girl’s name is Salma and the grandma’s name is Dada, that Salma’s fluent English is a gift from her mom who is an English teacher, and most importantly, that there are still a lot of kind, genuine people in the world. My host came swiftly, in 15 minutes he arrived at the bus station. A few more minutes of sipping coffee (it was a terrible cappuccino and it was freaking hot), then I said goodbye to Salma and Dada; and gave a hug to Salma. Hvala! Thank you! My gratitude started a wonderful solo journey through Bosnia-Hercegovina. 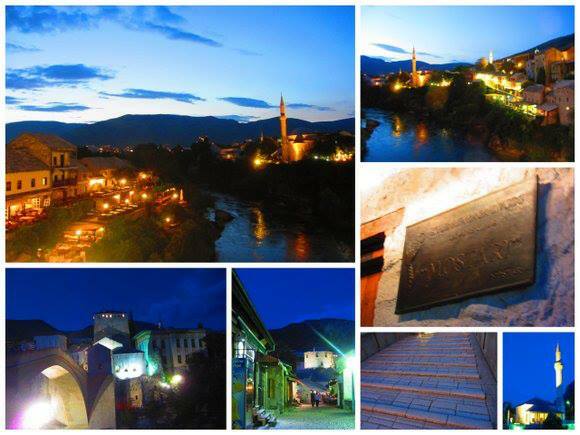 Coming up next: a night stroll through Mostar.